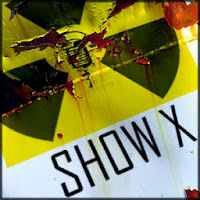 VtWProductions: Show X - Episode 221 - 404K, Money Not Found? Show X - Episode 221 - 404K, Money Not Found? WARNING, This episode of Show X contains Adult content, including Retirement, Consequence to actions, and planning for travel. Ken and Wayne are realizing that they want to stop working at some point and discuss how they could retire someday. Wow, Show X gets all adullt. Wayne continues to rant about how he feels that publicly trading stocks on a business cause it to lose its soul. Ken continues to have to deal with losing pets. Ken doesn't believe he needs a license in order to drive in Scotland. At least he is working to make Ken Con a real thing. Wayne helps La Campet makea cosplay while neglecting his own. Wayne has watched more DC shows on Netflix and gives his opinions. Someone took the time to make Golf fun and a video game in real life. Cupcheck also joins to show to share his recent technology woes and random acts of internet kindness. They guys want everyone to come join them in Clicker Heroes so we can beat more bosses. They guys talk a bit about sexuality roles in games before switching to true geekdom and gushing on the latest trailer for the upcoming Star Wars film.